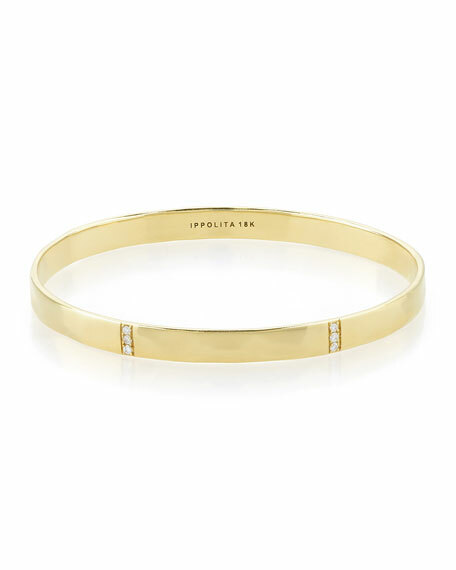 Glamazon® Collection bangle by Ippolita. Handcrafted in 18-karat yellow gold with hammered finish. Three sections with pave white diamonds. 0.18 total diamond carat weight. For in-store inquiries, use sku #1589507.